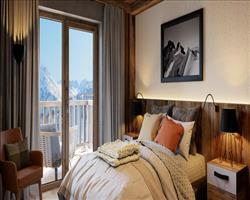 Ideally located in the centre of Val d’Isère, close to the old village and just 1 minute’s walk (100m) to the lifts. Here you will find a relaxed atmosphere as well as a warm, genuine welcome from Monsieur Bertoli and his very professional team. This property is ideally located in the centre of Val d'Isère and the hotel is just a 1 minute walk (100m) to the lifts. 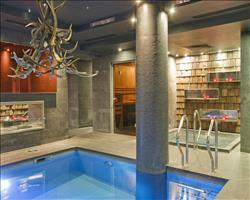 Take the time to relax at the end of a hard day skiing in the superb spa with indoor pool, sauna and turkish bath. Highly recommended. Cots are available from reception, free of charge- please request at the time of booking. Check in is :00. Check out is 10:00. There is secure luggage storage. All rooms have bath, hairdryer, telephone, radio, safe and satellite TV and vary in layout and style. Our selection of bedroom photos give an indication of the type of room our guests will receive. Standard doubles (A2, 18m2) are either west facing or with village view. These rooms can also be requested for sole use. Twin or double rooms (B2, 21m2 ) with a small balcony and village views and larger twin or double rooms (C4) with balcony and piste or mountain views are available at a supplement. Some larger twin rooms (C4, 25m2) have bunk beds suitable for children. South facing twin or double rooms (D2) with balcony are also available on request only. A2 and B2 rooms can be interconnecting via a small private entrance.Two B2 rooms can be allocated next to each other but cannot be interconnecting- please request at the time of booking. The hotel is suitable for wheelchair users. 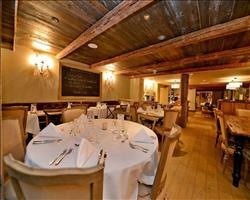 Superb 4 course evening meals with a choice of starter, main course and dessert. 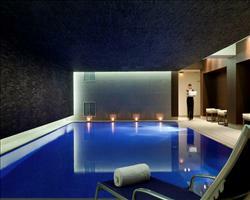 We update Hotel Christiania's details often, but facilities do change. e.g. some extras listed by the supplier as "free" or included might only be for the first time you use them, or for one time per party, then charged for further use. If any specific feature is essential to your holiday, make sure you ask us to confirm the details of it before you book your holiday. This package holiday to Hotel Christiania in Val d'Isere, France departs Saturday 21st March 2020, for a 7 night stay on a "half board" board basis. A local tourist tax (Taxe de Sejour or Kurtaxe) is levied by many councils in European ski resorts. It varies by standard and type of accommodation and is age dependent, so not everyone is charged. It's not included in the basic price of your holiday and is usually paid locally. For reference, the average charged in winter 15/16 was between 50p and £2 per person, per night. Val d'Isere lift pass price last reported as €294 (adult 6 day). Ask for a quote when booking Hotel Christiania. 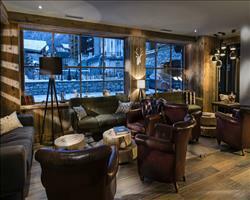 Hotel Les Cinq Fr... Val d'Isere France, Dover Ferry 21st March. 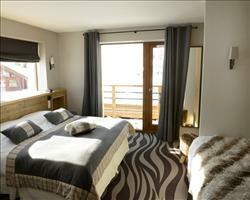 Hotel Avancher Val d'Isere France, Dover Ferry 21st March. Hotel La Toviere Val d'Isere France, Dover Ferry 21st March. Hotel Kandahar Val d'Isere France, Dover Ferry 21st March. Hotel Avenue Lodge Val d'Isere France, Dover Ferry 21st March. Hotel Aigle Des N... Val d'Isere France, Dover Ferry 21st March. "Nice - one of the posher hotels"
Hotel Christiania is fancy and quiet. It’s all quite high brow - people dress nicely to eat and parents keep their children quiet at supper time. Our room was comfortable with good facilities and plenty of space. The food served in the restaurant was typically French style cooking with a very nice buffet in the evenings. There's a nice bar below the hotel and on the end of the slopes, not sure if it was connected to the hotel or not but it was good fun. The Christiania’s location is really good. It's a two minute walk to the main lift, walk downhill and you find yourself in the town and go uphill and you're on the slopes. If you want somewhere where you can have a good laugh, this is maybe not the right place to stay (which is the only reason I probably wouldn't go back here) but if you want to stay somewhere you can relax and enjoy high quality service it would be really good. "We really loved it, would go again"
The people there were really lovely. The food was good, the kind of thing that British people who haven’t travelled far would be happy with. The hotel is well located, it doesn’t take any time at all to get to the lifts (3-5 minutes walk). My husband and I had a double which was kept well with a nice balcony. The boot and locker rooms were both kept very clean. Would recommend it to anyone, no complaints!